Michael Shanks is the Omar and Althea Dwyer Hoskins Professor of Classical Archaeology at Stanford University. 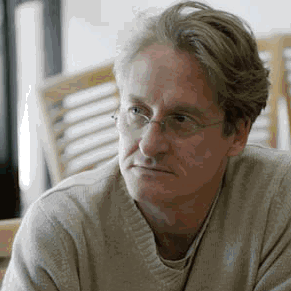 He has been a Director of Stanford Humanities Lab is a founder of Stanford Strategy Studio and is affiliated with the Hasso Plattner Institute of Design at Stanford (the d.school). His lab in Stanford Archaeology Center is called Metamedia. Michael has worked on the archaeology of early farmers in northern Europe and, Greek cities in the Mediterranean, has researched the design of beer cans, and the future of mobile media for Daimler Chrysler; currently he is exploring the English borders with Scotland in the excavations of the Roman town of Binchester, and investigating the Anglo-American antiquarian tradition as a key to a fresh view of the early history of science. His teaching contributes to Stanford programs in Classics, Archaeology, Science, Technology and Society, Urban Studies, the Program in Writing and Rhetoric, and the d.school. His archaeology lab at Stanford, Metamedia, has pioneered the use of Web 2.0 technologies to facilitate collaborative multidisciplinary networks in design research, media materialities and long-term historical trends. This comes after a long collaboration with the European performance company Brith Gof and with performance artists in the Presence Project – arts practice in multimedia. As a Director of Stanford Humanities Lab, he has championed experimental research and development in transdisciplinary Arts and Humanities, building bridges to a bigger picture on our contemporary cultural condition. A key theme in his current lab projects is the future of The Archive and The Museum. A series of critical interventions in debates about the character of the archaeological past, including the books ReConstructing Archaeology (1987), Social Theory and Archaeology (1987), Experiencing the Past (1992), Art and the Early Greek State (1999) and Theatre/Archaeology (2001) have made him a key figure in contemporary archaeological thought. For Michael, archaeologists do not discover the past; they work on what remains. Archaeology, the discipline of things, design and making, is about our relationships with what is left of the past. This means we are all archaeologists now; cultural heritage lies at the core of who we think we are, and how we might respond to the challenges of today and tomorrow. Most recently Michael has joined CARS (Center for Automotive Research at Stanford) as a Director of Revs – a major new interdisciplinary project exploring the history of the automobile as a window on human-centered design and engineering.